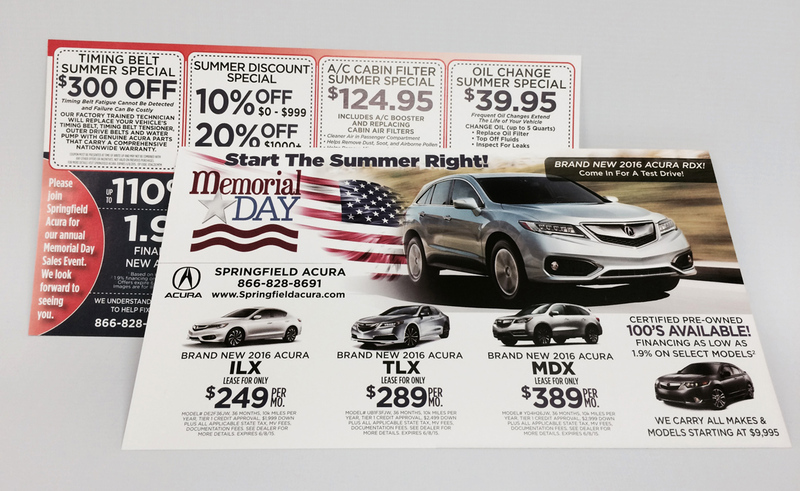 East Coast Media recently partnered with Ryan Ciasulli & the Marketing Team at Springfield Acura in Springfield, NJ on a Postcard Mailing for the Memorial Day Weekend Holiday. The purpose of this Mailer was to try & drive some traffic to their dealership and increase their auto sales. Our creative team offered a few design options that would entice local prospects to “Start Their Summer Right” by seeking their guidance for a New or Certified Pre-owned Vehicle. Ryan provided a mailing list and ECM’s mail team timed the mailing to hit those homes 3 days before the holiday weekend. A total of 5,000 Glossy 6”x11” postcards were sent and the results were great! The dealership reported increased traffic and 18 customers that walked into their dealership that weekend with the mailer purchased a car. 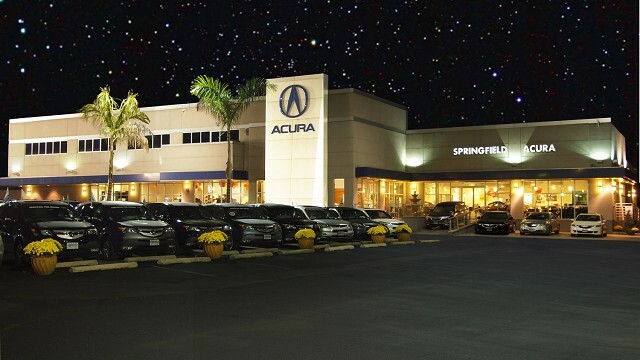 Of those 18 customers, six of them had not visited Springfield Acura in over 5 years. Direct Mail is still a solid marketing tool to reach your target audience and spread your message. We are seeing great success from our client’s direct mail campaigns. The addition of tear-off promos and webkeys gives even greater potential to increase your ROI. For references or more information, please give us a call.